I play quite a lot of different sports and the Copa Mundial is great for all of them. I play football(soccer) rugby and lawn hockey. They give me maximum comfort and grip. The K leather is very good for people with very wide feet. I have wide feet and I think they are excellent. The Adipure cannot be compared, they are completely different boots. The Adidas World Cup is the soft ground brother of the Copa Mundial, however it lacks in comfort. If you live in England, like myself, you can get a pair for around 50-75£; if you live in the States u have to pay about 90$. 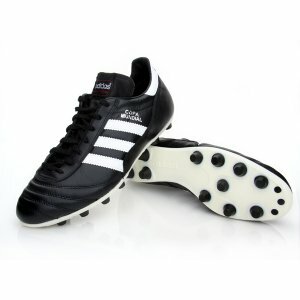 The Copa Mundial is the best boot ever and I recommend it to any player.